Being employed or to run your own business, which one is better? To me, there’s no definite answer. It’s how you view it. However, there’s one common factor between them i.e. no matter whether you are an employee or an employer you will face risks. 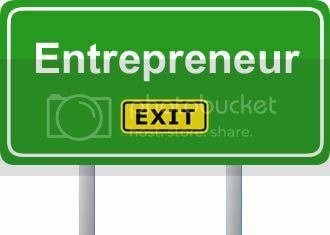 There’re a lot of people who asked me, why do you want to set up your own business? Between being employed and to run a business, which has the higher risks? During our school years, we are told by our teachers and parents to study hard so that we can secure a good job in the future. If that is so, then why should we start a business? Thus, there is no right or wrong answer to this issue. Everyone deserves a life of his or her own choice. 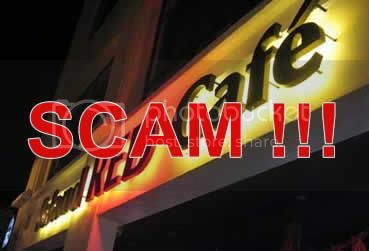 Recently I have received a lot of complaint about Island Red Café investment as they claimed that they stopped receiving the vouchers and cash payouts earlier this year. After careful investigation by police, it’s officially announced that this business is a scam. Here, I would like to remind all of you, before making any type of investment, you need to do your own research and don’t fully trust their business plan as they may fool you around. For example, in this situation, you need to see the Island Red Café environment first, and taste their foods & service. Check back my previous articles about Why I Don’t Dare To Invest? Island Red Cafe collects members RM6, 000 each and promised will give 5% return every month and even give you a name in the black & white agreement as a shareholder but what’s the point if they run away? In fact, you cannot do anything; you just can go to their shop and take all their business equipment such as the furniture (table, chair, fan…) after they declared themselves bankrupt. Many people also know that Genting Casino in Malaysia was a well known casino operations, which generally attracted a lot of people, come from different countries of the world. Hence, Genting is the one of the tourism that become high profit generator in Malaysia. The Singapore Casino, which is run by Genting International. I have been thinking whether the effect of the financial crisis will affect the Genting Casino gaming industry? Based on my personal analysis, the shares price on Bursa Malaysia have been on the downtrend since the March 8, 2009 general election. In addition, the knock-on effect of the sudden hike in petrol prices and weakening consumer buying power has much affect the Malaysia economic. However, one stock that continues to be favored is, one of the best-managed stocks in Malaysia, Genting Bhd. Genting share drop from RM9.90 to the share price at around RM5.60 since April 2007. It was lower than the share price of RM6 after March general election. I guess should be caused by the lost of its founder, Tan Sri Lim Goh Tong, at that time. If you are planning to start own business with new and creative idea then MSC Technopreneur Pre-Seed Fund may be a great chance for you. It is a good opportunity for you to become your own boss. This fund is really helpful for those who have a good business idea in ICT field but do not have the capital and meanwhile do not want to apply loan from bank because they are not 100% confident in operating business. 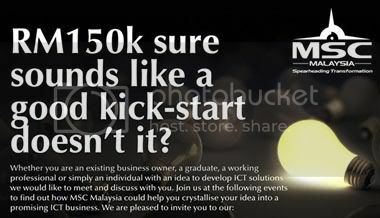 Through this program, you can get a fund up to RM150k and don’t need to pay back upon certain conditions!!! Existing companies are not eligible to apply. I will share with you what I’ve heard from other people who attend the seminar held by the MSC Pre-Seed fund committee. They have learnt about how’s program work and also attended a talk given by success applicants of the fund. What I Know About MSC Pre-Seed Fund?